Mulier Fortis has put together this slideshow of our Remembrance Sunday celebrations at Blackfen - Missa Cantata in the morning and blessing of graves at the local cemetery in the afternoon. The title picture shows me blessing the grave of the first parish priest of Blackfen, Fr Adolf Koch. This is always the first grave that I go to. 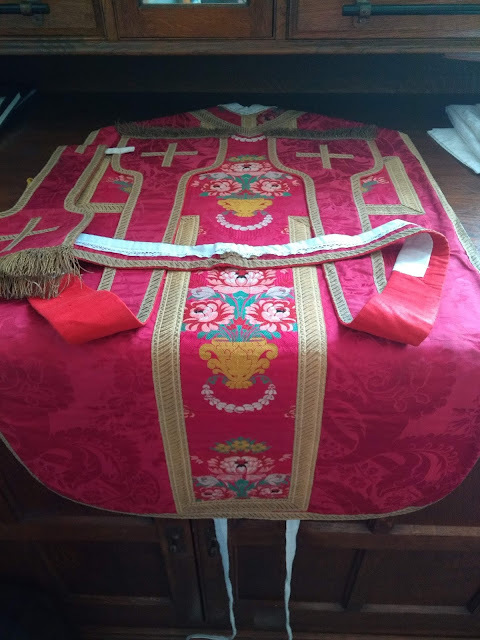 Many thanks to one of the senior servers for lending the Mass vestments from his private collection. 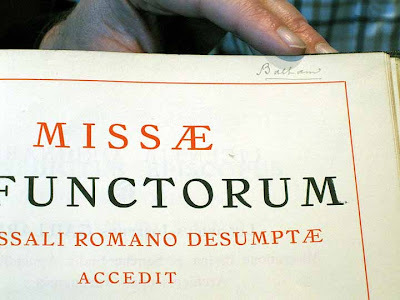 I have my own copy of the Missale Defunctorum picked up via the internet at a reasonable price before Summorum Pontificum. 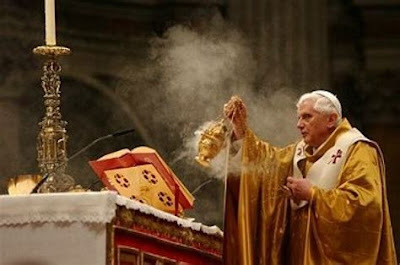 My MC had a useful second copy for the absolutions at the catafalque which he got in a second-hand bookshop. It was amusing to see that it originally belonged to the parish of the Holy Ghost, Balham where my good friend Fr Stephen Langridge (Southwark Vocations Director) is parish priest.